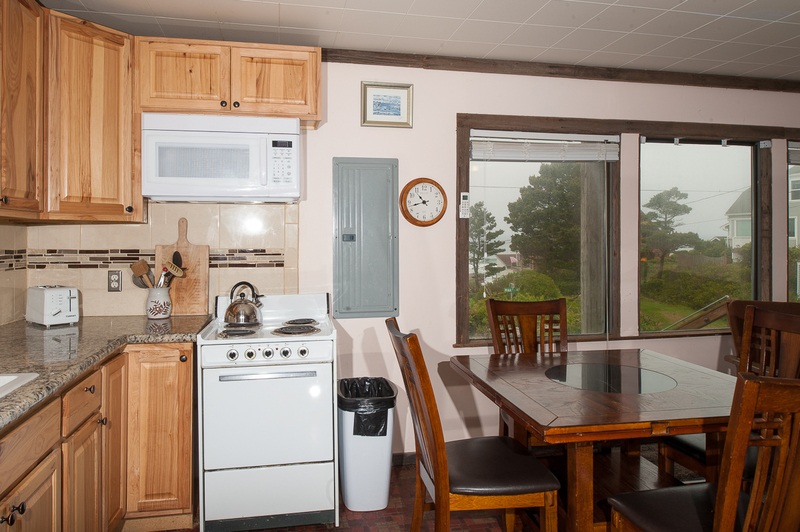 Experience staying at a carefully remodeled beach cabin with a rich history that is just two blocks from the beach. The original Sullishak cabin was built after World War II from Camp Adair recycled lumber, but its initial shell has been thoroughly renovated and expanded to add modern comfort and amenities while preserving its unique charm. Sullishak will be the perfect getaway for your party of nine, with two stories, three bedrooms, and two and a half baths. The newly added second-floor deck offers a commanding ocean view -- perfect for watching Oregon coast sunsets. Inside you'll find a combined family room, kitchen and dining area. The dining room table seats four, while the living room offers seating for the rest of your party. Buy your groceries two blocks away at the Lincoln Beach Thriftway and then cook homemade meals in the cabin's complete kitchen, or relax while grilling salmon in the backyard barbecue area. 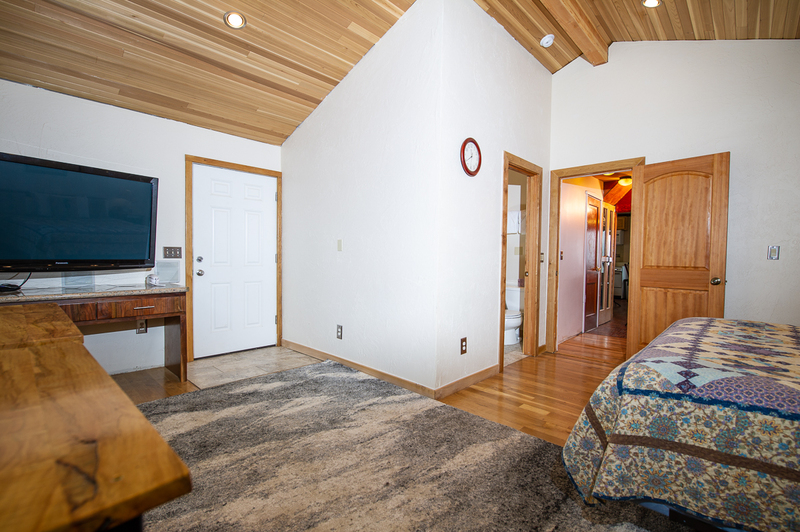 The cabin has two master bedroom suites: the one upstairs has a queen-size bed while the downstairs suite has a king-size bed. Each has its own bathroom along with a complete entertainment system: in-wall speakers, high-speed Internet, Tivos with cable access, and a selection of DVDs. 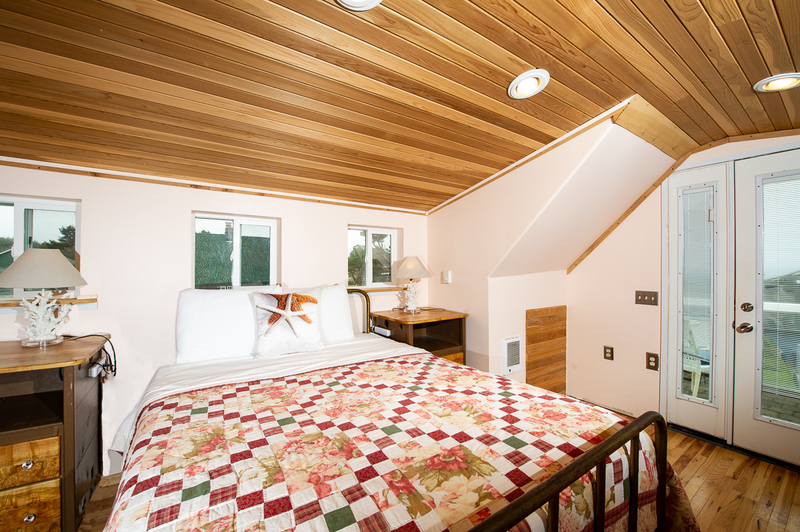 Larger parties will use two small sleeping rooms with double beds along with a twin bed in an alcove upstairs. Use the home's two heat pumps to stay toasty in the winter, or build a fire in the wood stove for a quiet evening's entertainment. 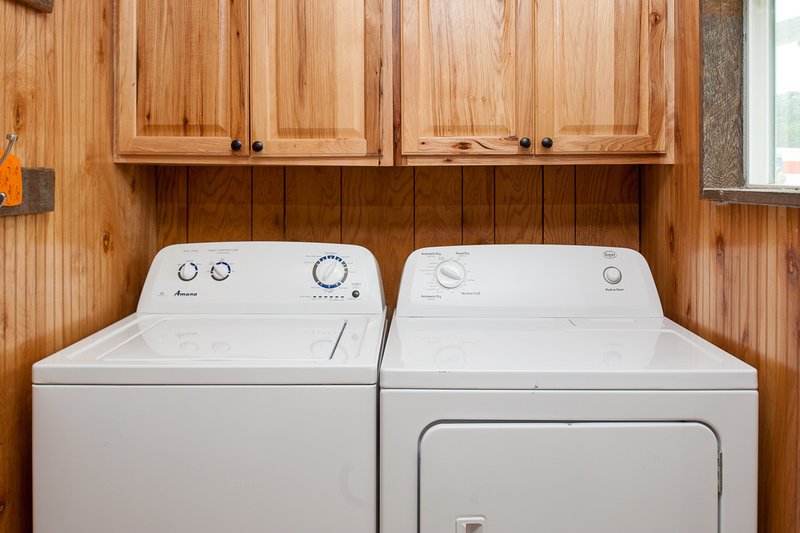 Feel free to pack lightly: you can use the cabin's washer and dryer for your longer stays. Bring your entire party -- including Fido and Lassie -- Sullishak is truly pet-friendly and doesn't charge a pet fee. Sullishak's tranquil magic will make you want to come back year after year and stay longer and longer. A great stay in a welcoming home with a wonderful view. "Great property with a fantastic binder full of the history of the home. The house was clean and very comfortable. We didn't want to leave! I appreciated the separation between bedrooms. We loved that there was an abundant supply of towels. A few suggestions; it would have been nice to have essential kitchen items, like dish soap and hand soap. It would have also been nice having cooking oil. The stove/ oven was a bit wonky with the heating causing us to burn some food while the other half was still undercooked. These are all very minor things that would not prevent me from returning. We loved our stay here!" "This is a great place to bring your family. We took6 adults 2 kids and was wonderful. Plenty of room. Great view from the deck and the balcony. Highly recommend. Will not disappoint." "Hello Robert, Thank you for your review. We are happy to hear that you enjoyed your stay at Sullishak. It sounds like this home was perfect for you and your family! We hope you'll be back again soon!" "Sullishak is the perfect spot to relax from the usual busy life grind. It has great cabin charm and comfortable beds. Views of the ocean from the main living area and the upstairs bedroom. Three bathrooms! A beautiful beach was just across the road and a path away. The neighborhood was quiet and very friendly. We were a group with four adults and two dogs, but this place would be perfect for a larger family get together with children. Sullishak was an easy drive to Lincoln City, Depoe Bay, and Newport. Our only suggestion is an owner or manager note on tv code and wifi password in plain sight. " "Hello Julie, Thank you for your review. We are glad to hear that you had an amazing stay at Sullishak! It sounds like this home was perfect for all of your needs while vacationing on the Oregon coast. We will look into your suggestion. Thank you again for your review, and we hope to have you stay with us again in the near future!" "My vacation was amazing!! My room was awesome!! The one in back of house with the big screen tv. Door off to patio!! I just lived my room!!" "Hello Maggie, Thank you for your review. We are so glad to know that you absolutely loved your trip to Sullishak! 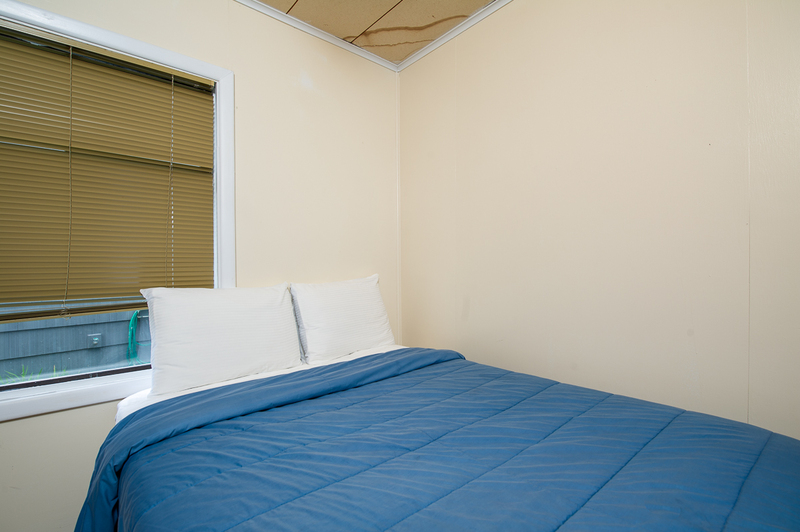 It seems that you really loved the room you were able to stay in! We hope this means you'll be coming back again soon!" "Had a great stay at the Sullishak. Everything was as indicated on the web page, was easy to work with Oregon Beach Vacations. " "Hello Juanitta, Thank you for your review. We are glad to hear that you enjoyed your stay at Sullishak. We are happy to know that it was easy to book with us and everything as well! We hope to have you stay with us again soon on the Oregon coast!" "Enjoyed the house was a great place in a great location "
"Hello Rosella, Thank you for your review. We are glad to hear that you had a great visit at Sullishak. We hope this means that you'll be back again soon!" "This is an excellent place to use as a base for a mid-Oregon vacation. There are two bedrooms on the fist floor of the original house with a large bedroom on second floor where there is a door to a balcony which faces the ocean. The kitchen/dining room area is adequate for several people to work in at the same time. Dining table is sturdy and large enough for 9 adults to sit at. The living room is somewhat small but has a wood stove which keeps the main lower floor area warm. Wood isn't promised, but is sometimes available. There is an addition on the back; a large master bedroom/ family room. Has a large screen tv, its own bathroom, and entry. Bring DVDs. Also has theater sound system. This room has its own air conditioning system. It worked well for us. The living room has an a/c unit but the fan didn't push the air around. You need to check the filters on each unit as we found them extremely dirty. There is internet, which worked well at the start of our stay but faded toward the end. Beach access is about a ten minute walk. This is a semi private community with no beach accessible parking. Grocery store, bakery, and coffee are about a 10 minute walk back to the main highway, though coffee and bakery are only open 7-12:30. Arrive early at the bakery if you want a choice of goods. Closest Walmart is 40 minutes south in Lincoln City. Lots to do there. Depoe Bay, an 8 minute drive, is a tourist area. Lots to do, but look for off the main street parking which is free. We did the whale watching, which is conducted in small rubber boats (if you get motion sick, this ain't for you). Whales live just outside the bay. We might rent this place again if we vacation here another time. " "Hello Charles, Thank you for your review. We are glad to hear that you enjoyed your stay at Sullishak. It sounds like you were able to fully explore the home and the surrounding areas. One thing, Walmart is located in Newport, not Lincoln City, but yes, this is the closest Walmart to the rental. It's a nice location because of the proximity to both Lincoln City and Depoe Bay, along with the grocery store and many restaurants. We hope to have you stay with us again in the future. Thank you again for your review." "We have rented a few houses on the Oregon coast. This house was wonderful. This house is by far our favorite and can't wait to come back." "Hello Ana, Thank you for your review. We are glad to know that you enjoyed your stay at Sullishak. We look forward to having you stay with us again soon!" "This property is in a great location. We could get to Depoe Bay or Lincoln City quickly and easily. There is a grocery store across the main hwy from the house as well, major plus. This house is cozy and has lots of space for all guests. However, I would not recommend this property in the colder weather. It was about 58 degrees inside the house when we arrived, and we could never get the heating system to work. We had to rely on space heaters that a maintenance person provided when we called for service. A service tech was supposed sent the following day, but we were either gone or he didn't show up because the heat pumps never worked. Had it not been for the wood stove, this would have been an uncomfortable stay. If you are willing to tend the stove it works out." "Hello Willis, Thank you for your review. We are glad to hear that you enjoyed your stay at Sullishak. We are sorry to hear that the heating was not working during your stay though. We are not sure what happened with the heating person either, unfortunately. There is no information in the notes. It may very well be possible that they arrived but couldn't get in due to you being gone. We are sorry for the inconvenience. We hope to have you stay with us again in the near future. Thank you again for your review." "This was an older home which was upgraded and added onto here and there. Had a good view of the ocean. Loved the wood stove. Be prepared for how cold it is when you first arrive but lots of heaters furnished. I would go back for the price. Parking was an issue but it worked out. " "Hello Carolyn, Thank you for your review. We are glad to hear that you enjoyed your stay at Sullishak. We are glad that you were able to enjoy the view from this rental. We look forward to having you stay with us again in the future." "The cottage is in very nice location near the beach. Close to the grocery store in Lincolin Beach, and Depoe bay.The cottage is nicely renovated upstairs and the new addition for the master bedroom. the Cottage is a new listing as a vacation rental and we owner needed to replace the outdoor grill that we were not able to use do to the salt air rusting it up and no propane left in the tank.We have two little dogs that we brought with us, they had a hard time going out to go potty due the grass around the property not being weedwacked or mowed.Overall we enjoyed our stay." "Hello Alan, Thank you for your review. We are glad to see that you enjoyed your stay at Sullishak! Thank you for your suggestions. We will be sure to let the owner and our maintenance know to get these fixed and possibly replaced. 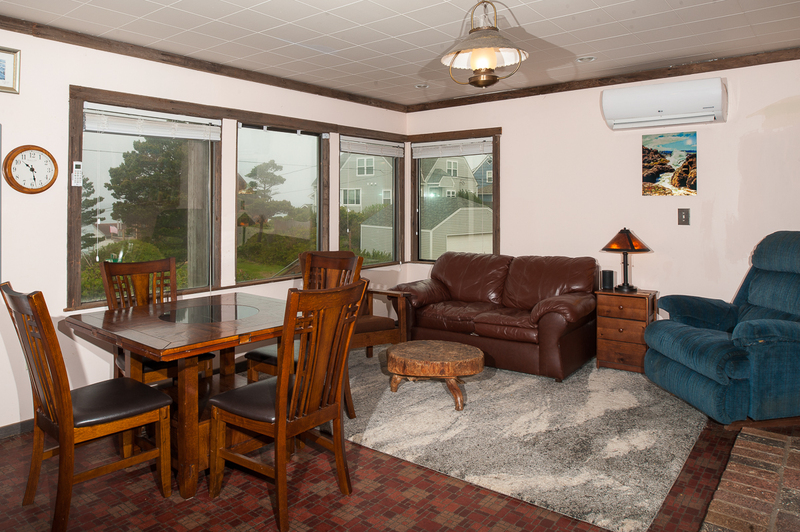 Thank you again for your review, and we hope to see you back again soon on the Oregon coast!" "a pleasant stay,t .rouble with TV sound, and no washing powder for clothes"
"Hello Norma, Thank you for your review. We are glad to hear that you enjoyed your stay at Sullishak. We are sorry to hear that the housekeeper forgot to leave you washing pods for the washer. We would have happily brought more out to you had we been made aware of this issue, as well as sent someone out to check out the problem with the TV. Thank you again for your review, and we hope to have you stay with us again in the future." "The house was in a great location. But two of the four bedrooms were really tiny The heat in the living room was not working, so we had a very small heater and the oven on to warm the room "
"Hello Samuel, Thank you for your review. We are sorry to see that you did not enjoy your stay at Sullishak. We are sorry that you found two of the rooms to be smaller than you anticipated, and we are sorry to hear that the heat wasn't working during your stay. We would have gladly sent maintenance out to the house to check that out for you to see if it could have been resolved while you were there. We have put in a work order for this to be fixed. Please don't hesitate to give us a call at our office should you ever have any problems with your rental. We are here to help in whatever way we can. We hope to have you stay with us again in the future. "